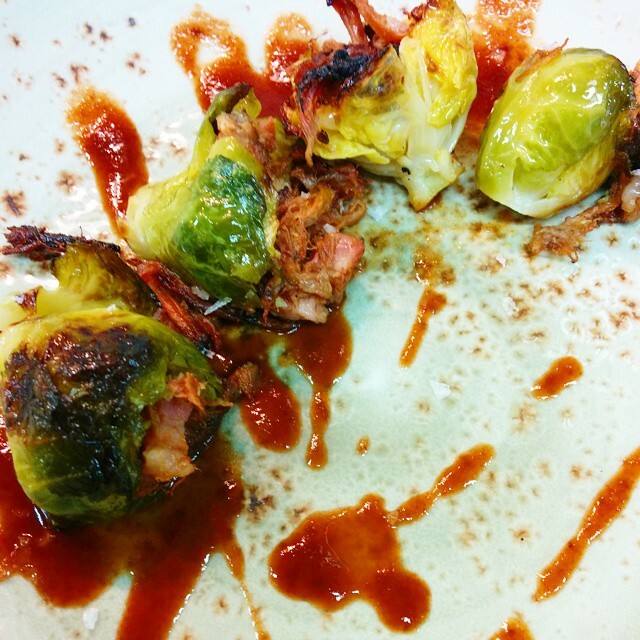 Pulled hock bbq’d brussel sprouts. Hot sauce. Absolutely delicious bite. Hailing from our nation’s capital, this chef found his love for cooking at a young age in the kitchens of his mother and grandmother. Cooking being paramount, Jonathan also brings an artist’s eye to his cookery. Having spent a great deal of his life with an education focused on art and design. Jonathan tries to find a bridge between home style heart and modern design elements when producing his plates. Cooking with love is a mantra he holds dear. He is enjoying his station with one of Toronto’s finest seafood spots, Pure Spirits and Oyster House.